My scientific interests are many and varied. 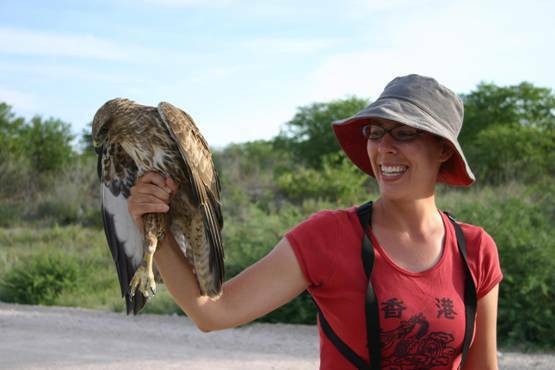 Primarily a molecular and behavioural ecologist, I have also worked with host-parasite-vector systems, phylogeography, sperm competition, sexual selection, mating systems and conservation genetics. I am interested in extra-pair copulation and sperm competition theory, parasite-mediated sexual selection, patterns of host-parasite phylogeography, and the effects of parasites and disease on endangered species. I am also studying the behavioural ecology of the white-crowned black wheatear (Oenanthe leucopyga). Most of my studies so far have concentrated on avian systems, including avian malaria. In 2008 I was part of a team that described a new species of forest robin, Stiphrornis pyrrholaemus, from Gabon, Africa.